Hello Stampers! I hope you are enjoying these final days of summer. I am back from my vacation in Ontario, Canada, to visit my family and now I am excited about getting back to my stamping routine! Today's project was inspired by Monica Gale, Stampin' Up! UK Demonstrator featuring the Dandelion Wishes Stamp Set. When I saw Monica's card, I instantly fell in love and had to give it a try. 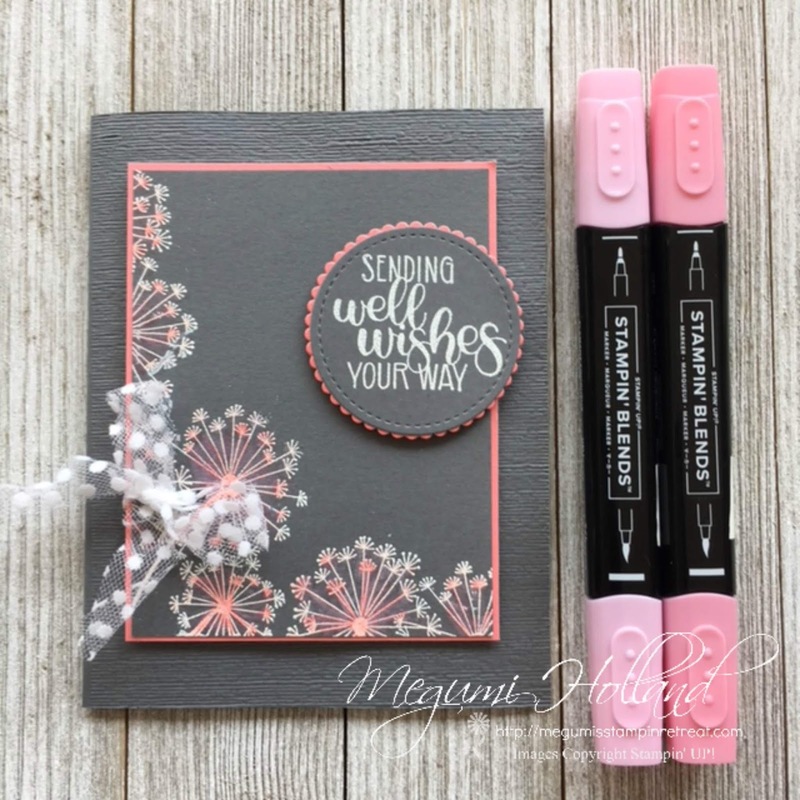 For my cards I chose a different sentiment and embossed my card front with the new Subtle Embossing Folder. I made four sample cards with four different colors - Daffodil Delight, Pool Party, Flirty Flamingo, and Mint Macaron. They are all pretty! 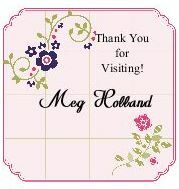 I love Monica's technique to heat emboss the flower images with White Emboss Powder and then color them with Stampin' Blends. What a clever idea! 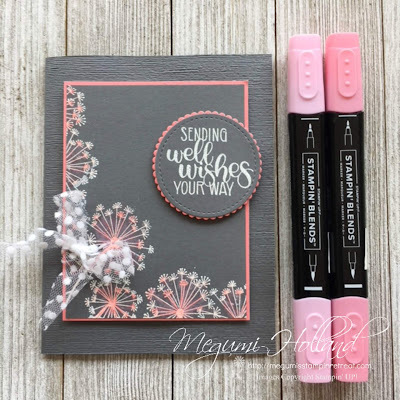 You do need both light and dark shades of Stampin' Blends. 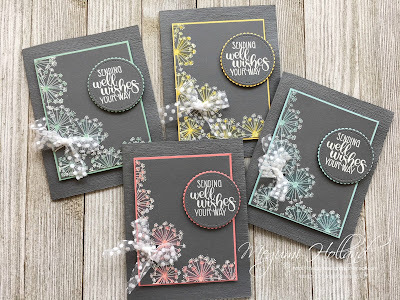 I am so happy that Stampin' Up! brought back my favorite Mint Macaron!!! How about you? 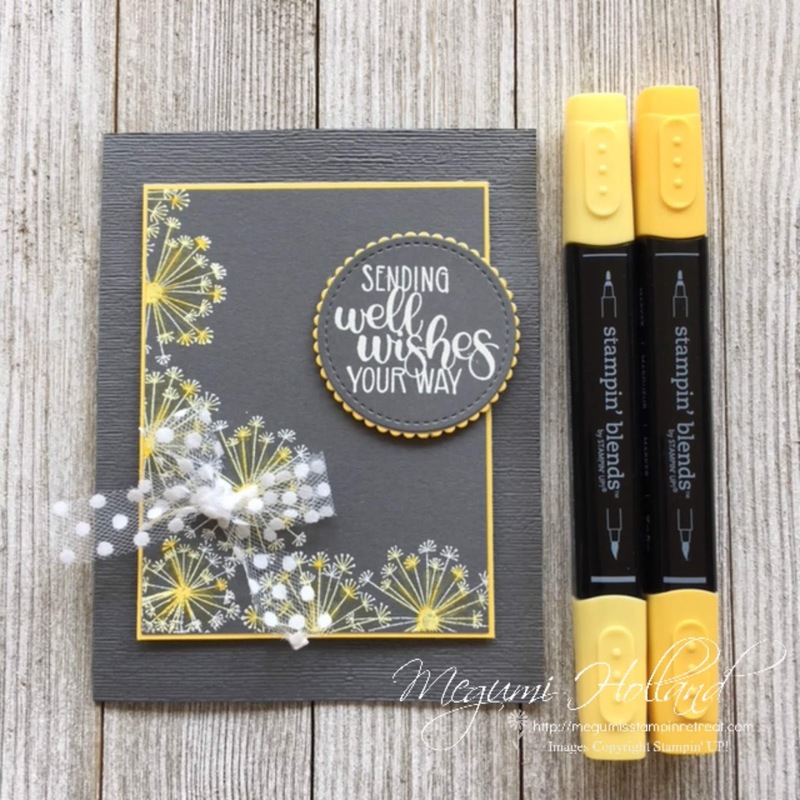 I absolutely love Stampin' Blends markers! They are so easy to use! And I am so excited to tell you there are MORE colors coming out in the new Holiday Catalog!!! Oh, yes.... I already have them. Love being a demo to be able to purchase before a new catalog debuts! Did you know if you join Stampin' Up! now, you can pick items from the new Holiday Catalog for your Starter Kit? It ships FREE too!!! Please feel free to contact me with any questions!